The site has been updated with details of the 2019 show on the 12th and 13th of October 2019. This entry was posted in Show Info 2019 on 26th January 2019 by JamesBlanchard. Unfortunately due to several changes of hospital appointment dates Glen Hodson has had to stand down as FANCY CHALLENGE SECTION judge. KEN LETTINGTON has kindly agreed to do these classes. This entry was posted in Show Info, Show info 2018 on 23rd August 2018 by JamesBlanchard. 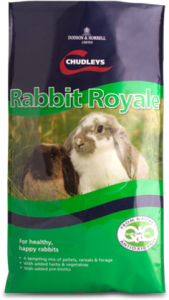 Once again the London is indebted to Dodson & Horrell for supplying bags of Chudleys Rabbit Royale for feeding the rabbits that require feeding on Saturday night and also as specials for Best Fancy, Lop, Fur, Rex and Junior exhibits. Note the closing date for all rabbit entries is 10 September 2018. This entry was posted in Show Info, Show info 2018 on 21st July 2018 by JamesBlanchard. Additional membership badges or those from a previous year £1.00 each if purchased at a show OR £1.75 if posted. £250 for Best In Show, £50 each for Best Fancy, Lop, Fur and Rex, £25 for Best Junior and £5 each for the best in each of the 50 sections. The £5s for the best of breeds will be paid in cash together with other prize money, whilst the other specials will be paid by cheque on the Sunday afternoon. £5 for each of the best Fancy, Lop, Fur and Rex owned by an exhibitor aged 80 or over. In the case of a stud/partnership all concerned must be 80 or over. These specials have been kindly given by Chas Petts once again. £25 for Best In Show Mouse, Rat, Gerbil and Hamster. This £100 has been donated by an anonymous long standing supporter of the London Championship Show. Arthur Clipsham has kindly agreed to judge the DUTCH and ENGLISH sections in place of Bill Paley who has withdrawn for personal reasons. If any club wishes to hold an A.G. M. at the London this can be booked with the secretary. The area we are using this year is in the Peterborough Suite. This will save the walk to the previous venue which was a bit too far for some club’s members, and would not have been very pleasant in bad weather. The Peterborough suite is where the Saturday Social is held and is next door to the Cambridge Suite where the breakfasts and lunches are served, so people will know it is wheelchair friendly. Charges remain @ £15 per hour. It has been agreed to entertain stock shows once again at the 2019 London under the following 3 conditions (sae as 2018). I.E 1 stock show per club, one block entry fee for each exhibit and there will be a deduction of 10% of entry fees to go into London’s funds. If your club wishes to hold a stock show please let the secretary know in writing – E mail or letter – by the end of January 2019. The London will be held in the same building on the East of England showground as the last few years on 12 & 13 October 2019. I am happy to confirm that Adrian Rawlings has once again agreed to act as auctioneer for the auction which will be taking place early afternoon on the Sunday. Oliver Brasier is in charge of this aspect of the 2018 London. Apart from some stock already promised he will be happy to hear from any fancier who may have some quality stock to spare, in the coming weeks. As usual we will be holding our London Show Party Night in the Peterborough Suite, which is next to the room where breakfast and lunch is served during the day. The London Party Night is a really good way to meet and socialize in a different environment with fellow fanciers who you perhaps only see once or twice a year. Steve Greenwood is our artist for 2018. Steve was with us in 2016 and proved very popular, with numerous people asking if he could be rebooked. Although he is one of the best singer of songs made famous by Frankie Valli, Steve has a very big repertoire of songs to suit all tastes. In between spots we will be having some games and the night will be rounded off with more dance music for those who still have the energy. Once again there will be the chance to have a hot meal in the Cambridge Suite (next door to the Peterborough suite) before the social begins which is a great help not only to the caravanners/campers who are on site, but it is another option to trying to get a meal in the busy local pubs and hotels. This entry was posted in Show Info, Show info 2018 on 4th March 2018 by JamesBlanchard. A list of local hotels has bee published here.